For dermatologists, a common procedure patients ask about is mole removal. 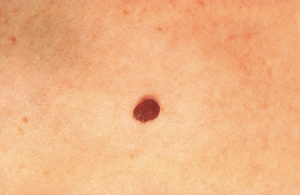 When a patient discovers a mole on a part of his or her body, there is a concern that it could be a sign of early stage skin cancer. In order to understand whether to undergo the procedure, the dermatologist will ask a couple of important questions. He or she also explains to patients why they should have the procedure if it is deemed necessary. One of the first questions asked is “When did the mole first appear?”. Moles are very common. Most patients see them appear within the first twenty years of their lives, with the vast majority of the population having anywhere from ten to thirty of them on their body. If the growth is not new, then it is most likely harmless. Mole removal for newer growths, especially as you get into your thirties or older, may be necessary, as these could be an indication of health problems. These skin growths come in all shapes and sizes. They also may be raised, or have no texture to them whatsoever. However, the area needs to be monitored. If there are changes to the color, shape, or thickness, have the area checked. If the mole appears different from other growths, mole removal may be required. Typically, moles are not painful. However, if the spot becomes painful, bleeds, or itches constantly, have a physician check it the spot. This change can indicate a problem. In most cases, the physician performs a mole removal procedure due to cosmetic reasons. The area looks bad or the growth is thick and therefore snags on clothes or jewelry, bothering the patient. For patients that spend a lot of time in the sun, the fear of developing skin cancer is real. In order to determine if a mole is cancerous or benign, the physician must biopsy the area. If the sample comes back as malignant, the doctor collects additional samples surrounding the mole to ensure the cancer has not spread.